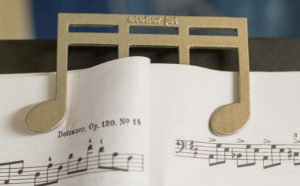 Hold open your sheet music book with this strong and heavy weight clip. 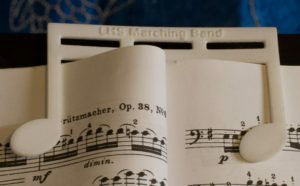 No more binder clips, no more tape, just slip this holder over the top of your music book and you’re ready to perform. 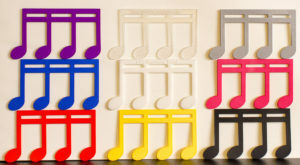 You can customize this with a line of text across the top of the staff, your name, your band’s name, or the name of your school.